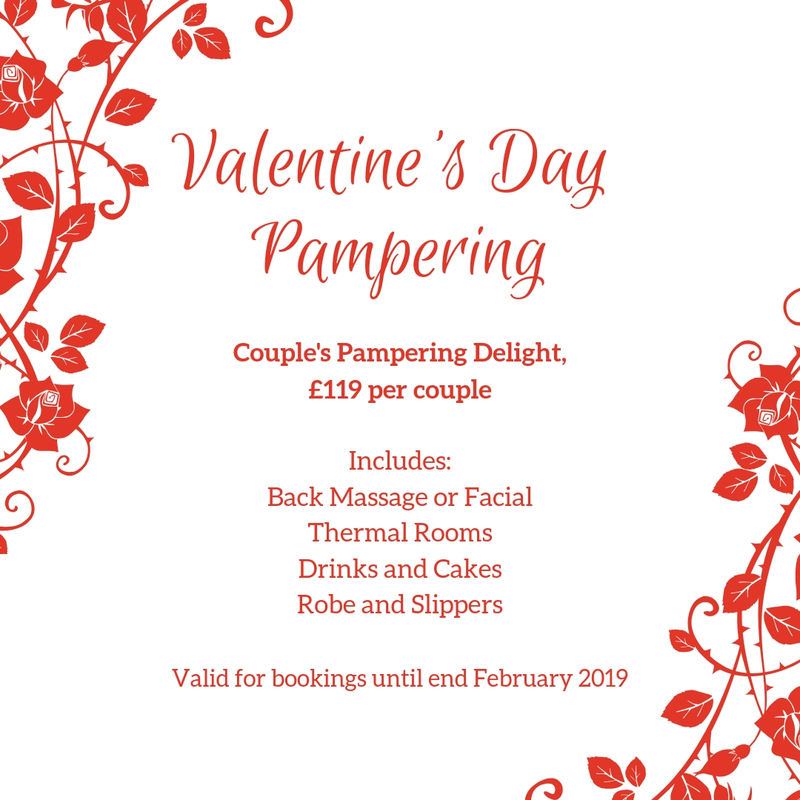 Treat your loved one for Valentines with a pamper package at Alexandra House Spa. Start your romantic day by changing into a fluffy robe and slippers and enjoy a hot drink or fresh fruit smoothie. Then indulge with an hour of relaxation in our gorgeous Thermal Rooms – feel cocooned in the gentle warmth, let the calm music relax your mind and breath in the soothing aromas. Then enjoy either a 25-minute Back Massage or 25-minute Aromatherapy Facial in our double treatment room. Finish off your pampering with fresh cakes and a drink in one of our relaxation rooms. £119 per couple, valid for bookings before end of February 2019. Or you can buy the package as a voucher, valid for 12 months. 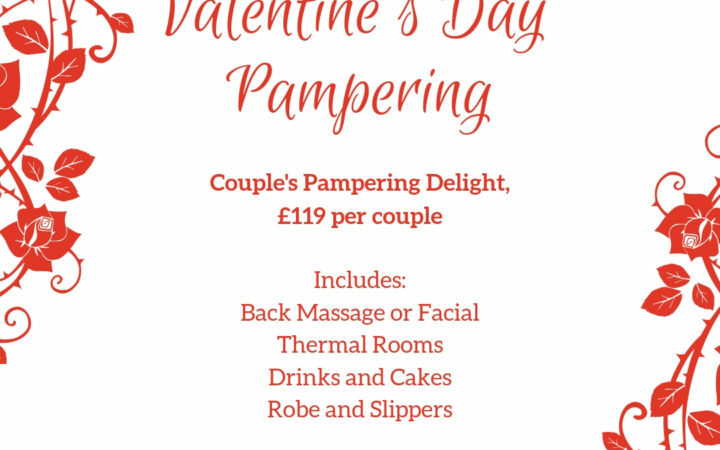 Call the spa on 01484 303786 to book your romantic pampering now.